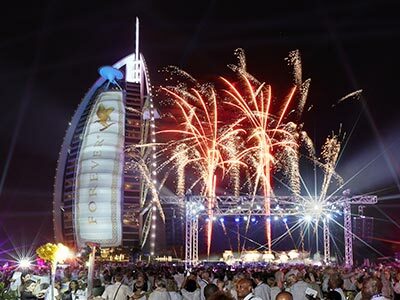 Based in Dubai and with offices throughout the Middle East and across the globe, Arabian Adventures Meetings Incentives and Events are the region’s leading Destination Management Company, with unmatched local expertise and an international reputation for creativity, flexibility and innovation. Wherever your tailor-made program takes you – Arabian Adventures MIE have the skill, knowledge and relationships to make it a truly authentic and memorable experience. What do I love working with MIE? I love the range of different events and experiences that we get to offer our clients. Every day and every client is so different. It’s never dull, it’s always exciting and that’s really what I enjoy about the industry MIE. To me, it’s also a great organization being a part of Emirates Group, where there’s a lot of support, training and development. We have control in the area. We are the experts in Dubai, in Abu Dhabi, in Oman. We have a team of multilingual, very experienced people so I love and enjoy working with them. We have been a very well-established company in the destination and all our partners really enjoy working with us. I love working for Arabian Adventures because it’s very dynamic. I love the diversity and how dynamic and fast-paced the city is. Strategically located at the crossroads of Asia, Africa and Europe and surrounded by crystal clear seas, the UAE is a land of contrasts, a place where tradition blends seamlessly with the ultra modern and the gateway to a thousand different adventures. Let Dubai fascinate you, indulge your inner adventurer in Abu Dhabi, become captivated by one of the oldest civilisations in the world in Oman, anything is possible. Where will your trip take you? With over 360 friendly and passionate staff, highly trained, multi-lingual guides and in-house trained safari drivers, alongside a fleet of luxury cars, coaches and off-road vehicles, we are perfectly equipped to support any requirement - from intimate, specialised incentives, to the most logistically complex programs imaginable. 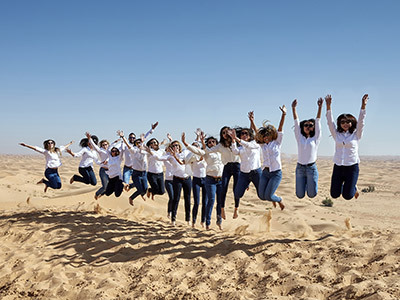 The Arabian Adventures MIE team will work with you every step of the way, to create a tailor made program that’s as unique as the country itself, with the highest standard of service, delivery and confidentiality throughout. With unsurpassed local knowledge and the strongest operational infrastructure in the industry, our specialized team has the proven ability to make things happen. Whether it’s for a group of twelve, or twelve thousand, we can advise, arrange and coordinate every aspect of your event, with the skill, expertise and passion to deliver truly memorable experiences. Whatever your event requires the Arabian Adventures MIE team can provide the perfect solution - whatever you want to do, wherever you want to go. Every promise fulfilled, every possibility explored, every event exceptional - now and always.